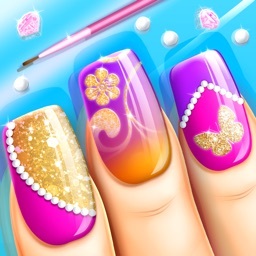 Dress up your nails and much more in this amazing dress up and makeup nail salon game! 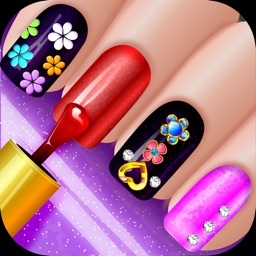 Virtual nails like a real nail salon! Start by choosing a skin tone, trimming your nails with realistic nail clippers, and buffing to a squeaky high shine. Then choose from loads of nail salon polish color collections to custom paint gorgeous nails. Let your inner nail artist out! 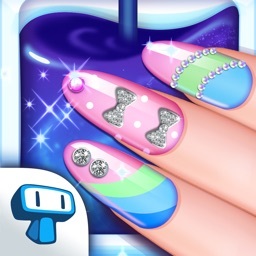 Choose from absolutely tons of sparkling rhinestones, crystals, diamonds, gemstones, stickers, decals, hearts, flowers, fruit and much much more to decorate your nails. Once you are happy with your creations, save your nails to your album, or share! Are you a nail art fashionista looking for a way to express your creativity like a real stylist? We've got the perfect makeup app for you! 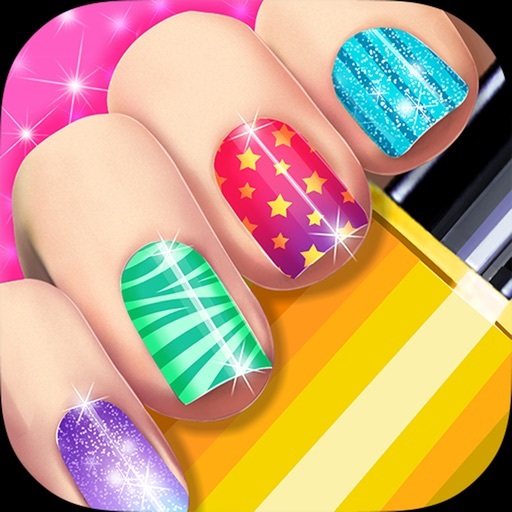 Show off your skills and style with this super realistic mani designer that includes beautiful nail polish that can actually be painted on fingernails as well as hundreds of totally unlocked FREE gems, decals, 2d nail art and glitter stickers that sparkle and shine! Start by choosing a skin color and then trim your fingernails to the exact length you want. Buff them to a high gloss squeaky shine like a real spa. Then move on to amazing nail polish color palettes in todays trends. Try painting a different color on each nail or even a pattern of ombre, stripes, rainbows, polka dots or abstract art. This is where the real fun starts! 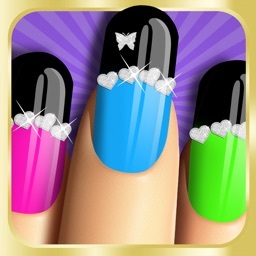 Pick from the largest and best collection of glamorous nail art in the iTunes! Decorate your nails with hundreds of items from apples to zebra stripes! Gems, crystals, glow in the dark decals, glitter stickers, sparkling gold and silver bling, rhinestones, princess gemstones, pearls, animal prints and much much more. You won't believe the endless options to allow your creativity to shine. Don’t forget to save pics of your creations to your own photo album! This dress up game is a must have for any beauty and fashion diva!